Our 15th Annual It’s My Park Day was a little mistier than many in recent memory, but we still welcomed thousands of volunteers to parks all over the city, for one of our most successful volunteer days ever! We want to give a big shout out to our project leaders who range from park adopters, to conservancies, to concerned neighbors. Each of them gave so much of their time and energy to making the day a success, and we could NOT have done it without them. We also want to say thanks to each of the 3,600 volunteers that helped us care for trees, repaint park structures, pick up trash and refurbish trails. 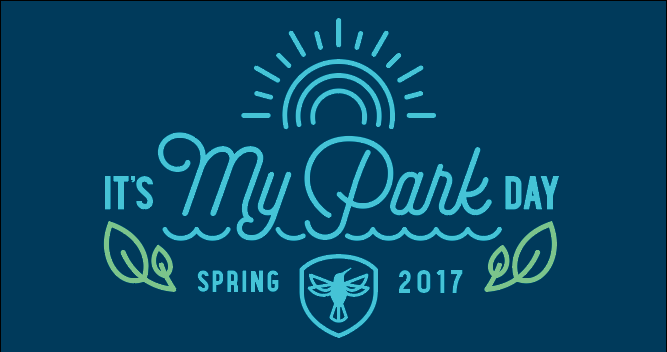 You are the backbone of our work and we are so proud to live in a city that cares so deeply for its parks, trails and green spaces. We put together a quick re-cap of IMPD 2017 by the numbers, so please feel free to share it, and show everyone what your work accomplished!